Only a few years ago, no one could have imagined we would be here now talking about a very real potential nuclear conflict that North Korea might actually start preemptively. Yet with last week's July 4th testing of a fully functioning and working ICBM intercontinental ballistic missile capable of carrying a miniature nuclear device, we have finally come to that frightening impasse. With the successful launch of the Hwasong-14 intercontinental ballistic missile in the northwest of North Korea only a week ago, the United States realized its own worst fear of several decades— that a seemingly two-bit dictator would reach the threshold of controlling powerful nuclear missiles which have the demonstrated capability and range of hitting American shores and cities. It is important to know that this frightening geopolitical crisis did not suddenly magically appear on the worlds' collective radar. These tensions and plots have been growing for literally decades, in fact for seven decades since the armistice brought a cease fire in the 1950 to 1953 Korean War. The first question is, can the world actually halt the North Korean military machine's seemingly unstoppable drive to start the globe's first nuclear war? 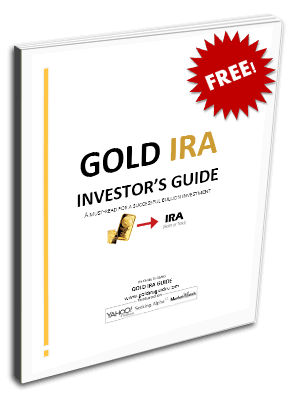 The second question should be, how long will you wait to protect your investment and retirement portfolios with IRA-approved gold? The answer should be to consider some gold IRA allocation strategies now before the situation deteriorates any further. North Korea is frequently forthcoming with its objectives and demands in this dangerous game they have been playing over the past two decades. Their first goal is the survival of their ruling regime. This is why they consistently state that they want the United States to withdraw from the peninsula completely and guarantee that it will not attack the isolated rogue nation in the future. This is not all they want. They have a specific list of tangible demands which they have held now for many decades. The outlaw regime wants face-to-face, one-on-one talks with the U.S. and a peace treaty to officially end the Korean War (which continues on officially though it effectively ceased with the 1953 armistice). The country is desperate to receive formal recognition from the United States and expects to have a security agreement treaty granted to it pledging the end of present and future hostilities and threats. Naturally in the meanwhile, they want the U.S. and South Korea to stop the enormous (and what they see as very threatening) war games they jointly operate together as practice for a military invasion of the north. Long term though, North Korea insists on seeing the entire Korean Peninsula reunited under its own totalitarian rule. They cloak this under the argument that the U.S. should leave the theater and allow the Koreans to choose “their own future.” Unfortunately for everyone involved, these demands are incompatible with the stated goals of the American government, which we consider next. The United States has two main priorities in the peninsula. Contrary to what North Korea believes, one of them is not to destroy the North Korean regime. In fact the goals are to defend the treaty ally South Korea first and to rid the entire peninsula of nuclear-armed weapons second. This means that the only nuclear weapons on the peninsula, the North's, would have to be eliminated for the United States to be satisfied. America's own tactical nukes have been removed from the peninsula since President George H.W. Bush announced the U.S. was withdrawing all of its land and naval tactical nuclear weapons in September of 1991. The North Korean government now sees this policy as a non-starter since they have acquired with great pride and tested on five separate occasions their nuclear bombs. Unfortunately, the North's refusal to stand down from their nuclear and ballistic missile development programs means that America now puts great emphasis and even urgency on preventing Pyongyang from attaining a serious nuclear weapon capability of reaching American soil all the while it defends both long-term allies Japan and South Korea. Unfortunately, it appears that none of these core objectives can be met any longer as Kim Jung Un's nation has now possessed short range nuclear missiles with the ability to strike anywhere in either South Korea or Japan for several years. This ICBM test last week now puts a final nail in the proverbial coffin of the other objective to prevent the North from gaining the ability to nuclear threaten the Pacific American territories and even mainland American people. What makes the situation so very dangerous now is that the United States feels the pressure of the new threat to its territorial core and population. It may well be inclined to move preemptively militarily against the rogue regime before they are able to mount nuclear devices on several of their now-proven ICBMs. At the same time, Kim Jung Un's military has admitted in its various military and missile drills that it also plans to strike first in order to not lose the capability after a U.S. and South Korean preemptive strike would render its offensive weapons harmless. The United States and South Korea have their annual joint military exercise which stretches over two months and includes literally tens of thousands of American and South Korean uniformed individuals along with F-35 fighters from Iwakuni in Japan, bombers, and aircraft carriers. This allied yearly endeavor leads the North Koreans to the conclusion that the practice is actually a rehearsal for an all-out assault. Analysis of these military exercises from the North leads to the conclusion that Kim Jung Un's generals are plotting to unleash numerous nuclear weapons on American military units in South Korea and Japan in an effort to “repel” an attack in their own words. All they needed to complete their preparations was that long-elusive piece of a tested ICBM capable of carrying their destructive nuclear power as far away as California and beyond. This would serve as a check against President Trump unleashing “shock and awe” against the North Koreans after they destroyed Tokyo and Seoul. This is all still theoretical until the missiles and bombs start flying. By then it is too late to acquire your share of the limited supplies of the world's scarce gold. All of the gold ever mined in the history of the world fits into a box that is only 30 meters cubed. Much of it (30,000 tons worth in fact) is already locked away in the vaults of the world's central banks. When the nearly 70 year old conflict breaks out once again on the Korean Peninsula, you will be hard pressed to find available physical gold at any price. Gold has a near-monopoly on historically proven safe haven performance stretching back not only hundreds, but thousands of years. Gold makes sense in an IRA because it will protect your retirement assets in market crises like this one. Now is the time to consider the top five gold coins for investors. Get your share of IRA-approved metals before the conflict breaks out anew.